DEAS has been developing breathing solutions for respiratory care since 1987. Our products are used in Operating Rooms, Anaesthesia, Intensive Care Units (ICU), Neonatal Intensive Care Units (NICU), Coronary Care Units (CCU), Post-Anaesthesia Care Units (PACU), Respiratory Therapy (RT), Emergency Rooms (ER). DEAS provide, even in OEM, product design and engineering, prototypation, qualified plastic materials selection, product technical file, risk analysis, instructions for use redaction, CE certification and marking, mould design and construction, injection and blow moulding, extrusion, clean room assembly, bonding, blistering and packaging, EO or Gamma sterilization, stocking. DEAS distributes through a network of partners worldwide. We have gained a reputation as a responsive company and many products in our range have been developed as a result of end user requests. Customer service has always been paramount, with customers receiving prompt responses to all requests for product, technical assistance, and business support. Our production facilities, offices and warehouse are located in Castel Bolognese, Italy. We provide the highest quality products and our quality system meet the stringent requirements of relevant ISO and EN industry standards. 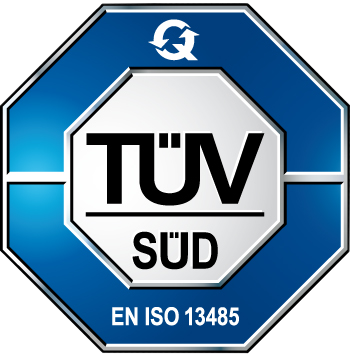 In particular, our quality system complies with EN ISO 13485. We are committed to lowering the environmental impact of our products and services. The EN ISO 14001 Certification process has helped us take a critical look at our products, service and processes from an environmental point of view. We are constantly monitoring and optimising the environmental aspects of our activities. All DEAS products are DEHP-Free and Latex-Free and comply with recent medical device directives.